We are excited to share today’s testimonial from a fun and creative virtual race group: Team Mighty Oaks. Team Mighty Oaks participated in the 2017 Holiday Challenge and the 2017 Virtual Race Through Paris. They share their incredible experience below. Congratulations, Team Mighty Oaks! Virtual Marathon through Paris encouraged fitness, friendship, and fun for state employees at Southwestern Community College. We did it! A group of coworkers from Southwestern Community College got together and participated in the 2017 Holiday Challenge Virtual marathon through Paris. In our building, whenever we do something, we try to make it as fun as possible. The virtual marathon was no exception. We got into character while sightseeing in Paris. For example, after logging our daily activity, we would talk to each other about our location in Paris. If one of us was ahead of the others on the map, the lead person would wait for us at the local market, a café on Rue De Rivoli, or Shakespeare and Company Bookstore – where we all spent too much virtual money (But we’re educators; we like books!). We even toured the Louvre together. Everyone walked at her own pace, and no one felt pressured. We all met at the Tea House near Boucherie Le Bourdonnec before crossing the finish line at the Eiffel Tower. 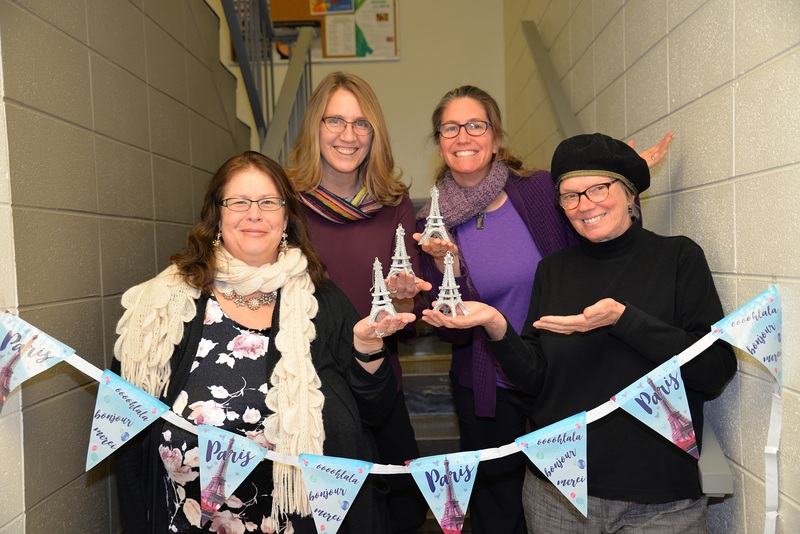 Once everyone in the group completed the 26.2-mile marathon, they were proudly awarded an ornament of the Eiffel Tower along with a portion of a Paris banner to celebrate our achievement. Our experience with the virtual marathon through Paris has inspired us to travel the world together. Be on the lookout for postcards from our next travel adventures!